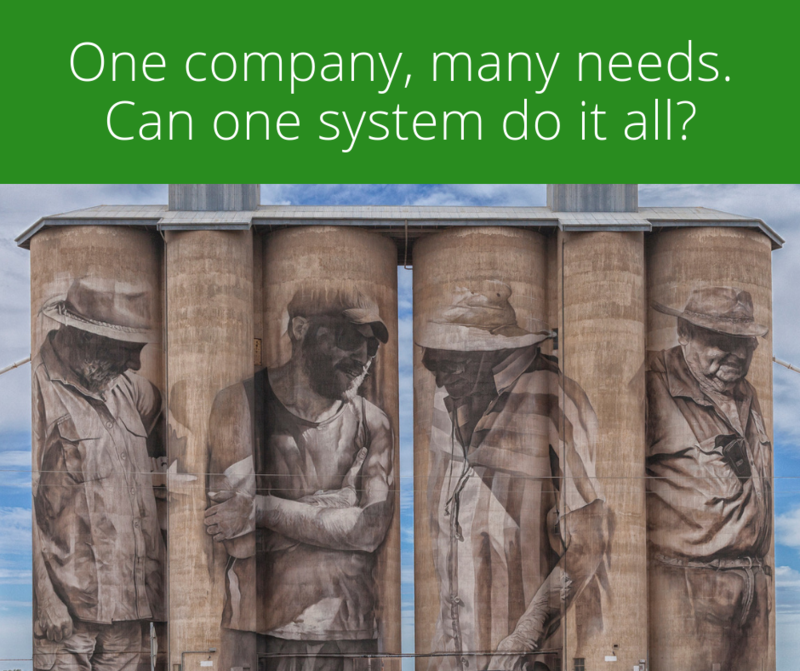 Is it possible to use a single system when you have a very large number of requirements? Or when you find yourself with different and conflicting requirements? Can any system accommodate this level of complexity? The first thing we need to understand is enterprise architecture. Only then can we make a decision about whether software can deal with it. So what is enterprise architecture? Put simply, it is the systems that underpin the connections between technology, management and information in your business. When it comes to varying requirements between parts of your business, flexible, evolving architecture and lightweight connections are your best friend. A lightweight architecture will support your organisation as you develop and it will help you deploy new business capabilities. A central system like myFLO enables you to achieve this. It does this by centralising and storing data, allowing employees to access information form a core system, and integrating the business. It is the basis of an integrated technology model. Integration is what will drive better performance outcomes. It also won't challenge your customers. Be aware tat integrating your systems, software and capabilities may mean that you can't just chase every new opportunity. In a sense, you need to sacrifice short-term cash for the benefits of integration. An integrated business requires more coordination, but the impact is significant. It isn't just customer-facing (because you don't have a proliferation of systems for core functions like purchasing): It benefits your employees. Innovating purely for growth, rather than for improvement, can do more harm than good in the long run. A recent study by PwC into the operations and technology of 1,100 manufacturing companies revealed that just 10% streaked ahead of the competition. They achieved it by combining cutting-edge technology and efficient operations. It returns higher revenues and higher margins than those seen by the competition. To achieve this in your business it requires you to go back to basics. Understand your operations as an ecosystem. Develop a vision and value proposition for it. Develop an integrated ecosystem concept and a strategic partnership model for all components. Then, before you jump in feet-first, set up decision-making protocols for governance and investment, and for your board's role. Once you have these things you can go full-steam ahead to build out your capabilities... and reap the rewards. Before you think that system-related problems are unable to happen to you, take note of how fast you're growing. Depending on the size of your business, unchecked growth with good intentions creates a mess of systems. One example of how deeply an organisation can entangle itself is Philips, the razor manufacturer. Philips expanded its product portfolio so dramatically that the company ended up with 10,000 applications. Of those, 60 were enterprise resource planning systems. They had data spread among all of them, and executives could not gain a birds'-eye view of the business. The increase in products: That happened as a result of internal innovation and acquisition activity. The business leaders were allowed to design stand-alone systems to support what they were doing. What they should have done was integrate into the business instead. Thinking differently about your organisation allows you to create different revenue models. One way to do that is to think like a software company. Well, you might be thinking. That's easy for you to say. You are a software company! True, we are. We also have deep experience helping companies like yours to achieve major growth, by solving issues in the systems that drive the business. One article in the Harvard Business Review argues that if you have the right software layer, you are better able to scale over a range of digital platforms. The example they give is of the company Nordstrom. By codifying their capabilities, and having a single-source platform, their sales people were able to think differently. The system gave them visibility over sales histories and customer interests. And the result? Targeted sales, special appearances, in-store events that customers found relevant and useful - thus spending more with the brand. The net result was higher revenue and increased profit. Integrating more of your business allows you to find more opportunity in your business. This happens even if you have multiple requirements, multiple brands, or a range of services and products. And the best thing? Lifting visibility over your data allows for more moments of service provision. Your company therefore gains a higher return on your operations activities than if your team members were to do this in siloes. Rethink your metrics, and discover more opportunities, by treating themas an enterprise-wide initiative. How does it support itself and grow, by itself? What kinds of network effects can you achieve? How does it improve your overall value proposition? Can you bring outsourced capabilities back in-house when you do this? What might it mean if your management became more flexible as a result? myFLO will integrate your field service team with your business objectives. We've been doing this ever since we started. Call us on 1300 78 46 60 for a confidential conversation today.